Pot roast is a less tender cut of meat that is usually sold in a chuck or round cut. It is often inexpensive and benefits from a slow, long cooking time to tenderize the meat. Cooking pot roast in a slow cooker is ideal for this very reason. Beef is not typically known as a lean type of meat. A good rule of thumb when looking for leaner beef is to make sure it has 5 grams of fat or less per 3-ounce serving. Eaten in moderation, lean beef can be part of an overall low-fat diet. A common issue with the leanest cuts of beef is that they are often tough and chewy. 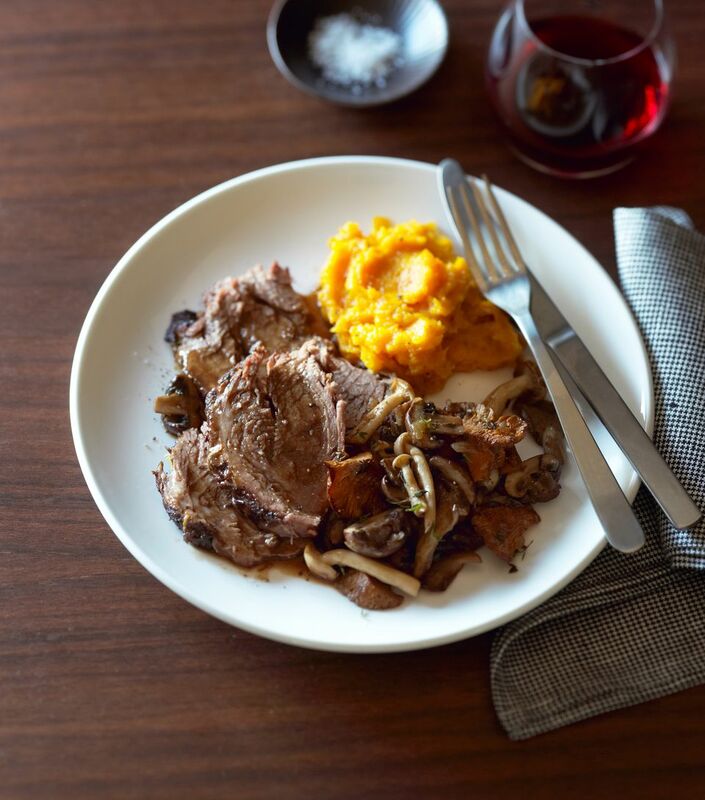 By using a slow cooker to prepare pot roast, you will get the protein, vitamins, and minerals that beef has to offer while enjoying the tender meat in a very easy and hands-off cooking method. This hearty, warm dish includes carrots, mushrooms, green pepper, and fire-roasted tomatoes, making it a complete meal and perfect for a cold winter night. If you are feeding a crowd or want an accompaniment, the pot roast can be served with roasted or mashed potatoes or egg noodles. Coat the inside of a 4-quart slow cooker with non-stick cooking spray. Place chopped onions, carrots, mushrooms, and green pepper into the slow cooker. Heat a large non-stick pan coated with cooking spray over medium-high heat. Brown the meat for approximately three minutes per side. Carefully remove the meat from the pan and place it in the slow cooker on top of vegetables. Pour the canned tomatoes over the meat and drizzle the Worcestershire sauce on top of everything. Cover and cook on low seven to nine hours. If you have a multi-function slow cooker, you can brown the meat directly in the appliance first. Then remove the seared meat, layer the vegetable, and then add the meat back in followed by the remaining ingredients. This pot roast can be stored in the refrigerator in a sealed container for a few days after cooking. Additionally, pot roast freezes very well. Simply prepare according to the recipe and then allow the pot roast to fully cool. Pack it into a sealed container, label it, and put it in the freezer. To reheat, simply defrost on a countertop and then warm it in a dutch oven or other large pot on the stovetop.